Welcome to Chicago, Illinois. Meet Chucky. Wanna play? 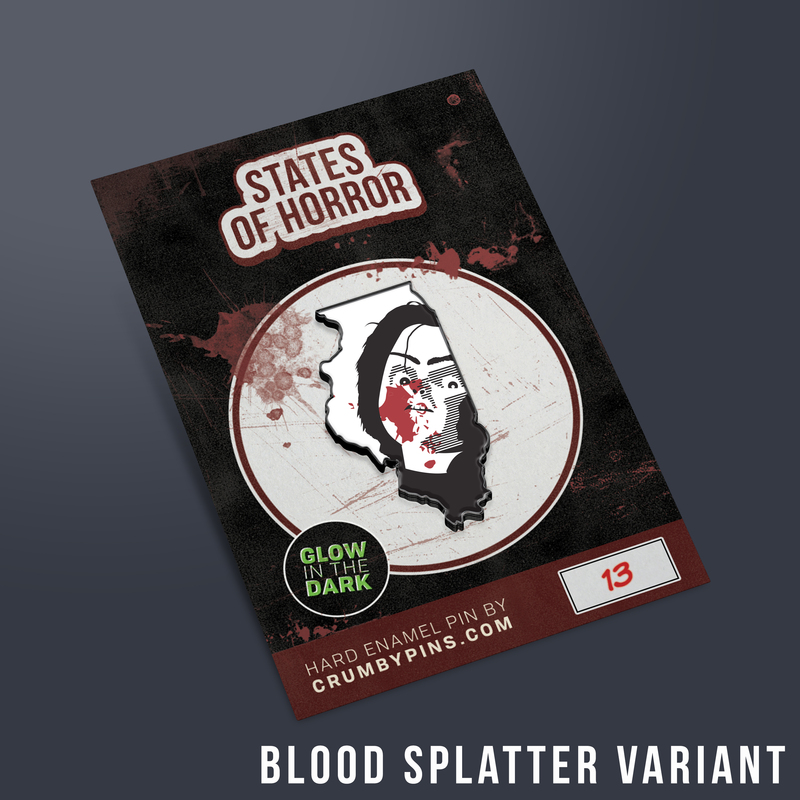 The States of Horror Series are hard enamel pins with screen-printed character silhouettes. The Standard pin is an Open Edition, Black on White. 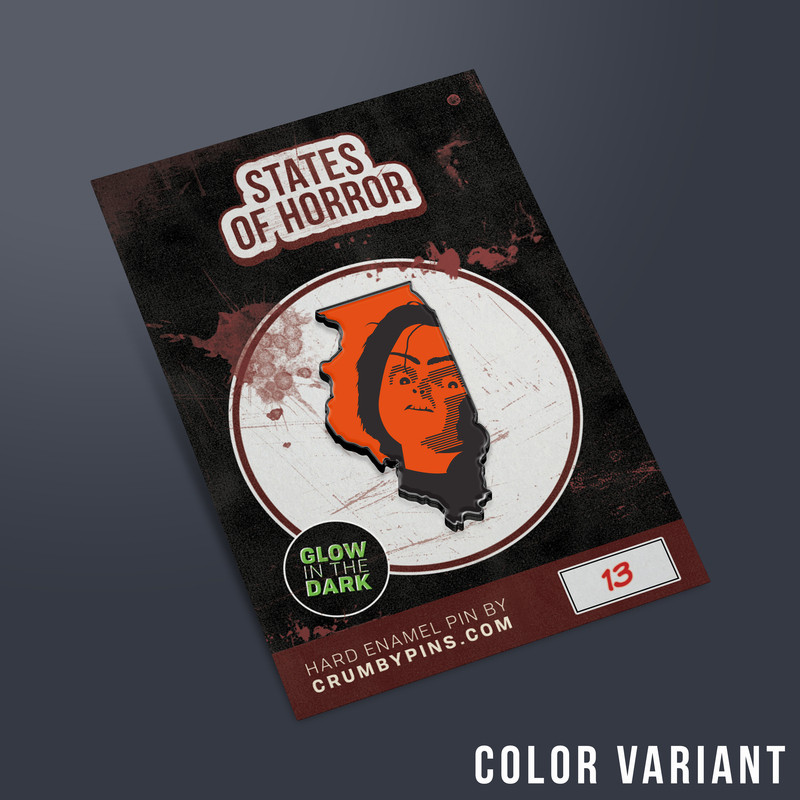 The Blood Variant and the Color Variant are limited editions of 25. 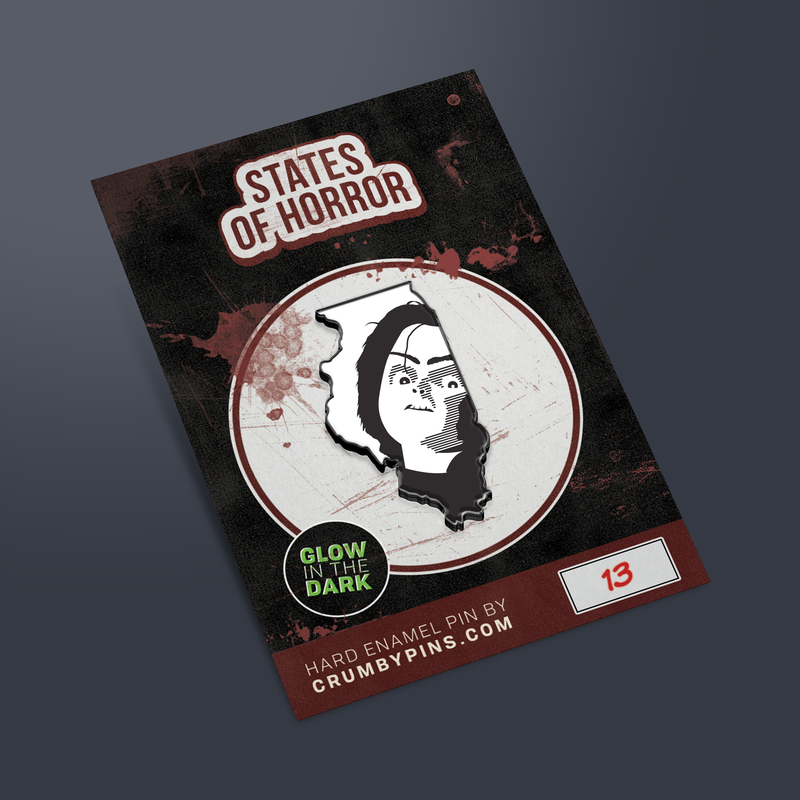 This Illinois shaped pin is based on Chucky from the Child’s Play movie series. Ade due damballa. Give me the power, I beg of you!